8 Things That Happened When I Tried Intermittent Fasting | Valet. Let me just say that if you'd told me a few weeks ago that I'd happily be able to go nearly 20 hours without food, I'd laugh in your face. And then eat a donut. Because I'm not the type of guy who forgets to eat. I wasn't in the habit of skipping breakfast nor was I the type of annoying person who comes by your desk at work and says, Did I eat lunch? I like food. And sweets. And alcohol. So the concept of fasting seemed downright torturous. But here I am, after just three weeks of regular fasting (my record is 18 hours and 23 minutes) and I'm totally bought in. Why? Because it's wildly effective, way easier than I thought and costs nothing. In fact, it's saved me money since I've eliminated meals and a whole segment of snacks and cocktails. Here's what else I learned during my experimental journey of self-discipline. I was only familiar with fasting in terms of religion—fasting for lent or during Ramadan. And honestly, the idea of willingly giving up food sounded like a drag. But I couldn't ignore all the chatter and news about intermittent fasting with its myriad of health benefits, from weight loss and lower blood pressure to reduced cholesterol and a longer life expectancy. So how does it work? You give up food (and any caloric drinks) for a set period of time during the day. Typically 13 to 18 consecutive hours. Then you eat during the other 6 to 11 hours of the day. It seemed too extreme—the kind of body hacking that Tim Ferris could commit to but not a weak mortal like myself. Out of curiosity, I began asking around and sure enough, some of the healthiest guys I knew fasted and were big believers in the benefits. I decided to give it a try but wanted to do it right. I reached out to Kevin Rose, the Digg founder and tech entrepreneur, who just developed an app for fasting called Zero. Rose said he got interested in fasting when he learned that Hugh Jackman used a daily 16-hour fast to lean up for his role in Wolverine. He did some research and discovered the laundry list of benefits. "I'm geeky about data and when you dig through the data, it starts to get pretty exciting," he says. "For me personally, I have my blood drawn every couple of months and we look at things like my inflammation and blood glucose levels and everything has improved across the board since I began fasting." I was sold. I decided that I would fast for at least three weeks. I'd eat at 6pm and then fast until lunch at noon the next day, with a snack between lunch and dinner. "The hardest thing is when people first get started, they're shocked at how much snacking they do," Rose warned. "The fast works as a forcing function to stop making those mindless trips to the kitchen during Game of Thrones." This sentiment was echoed by Rob Babigan, an account executive for a footwear brand, who began fasting in his early forties after his doctor suggested it might shock his metabolism. "The first week was hell—not gonna lie—like watching paint dry." He suggested drinking plenty of water to compensate for the hunger pangs. And that's just what I did. For me personally, I have my blood drawn every couple of months and we look at things like my inflammation and blood glucose levels and everything has improved across the board since I began fasting." I found Kevin Rose's Zero app incredibly helpful. Just opening the app and hitting the start button (which initiates the clock that times your fast) helped put me in the right frame of mind. I wasn't tempted to eat because I'd have to open my app and hit the stop fasting button. It's also a simple interface that can export your data to a spreadsheet for complete control. I also liked getting a notification sent when I hit my fasting goal. Once that alert chimed, I knew I was clear to start eating. Because you can't eat, you drink more water to fill your stomach and quench your thirst. And because I was drinking more water, I realized I was drinking less diet sodas and alcohol—things that aren't exactly bad but that I could definitely ease up on. I also learned that often, I snacked just for something to do—a break after sitting at my desk too long or simply for something to crunch on while having a cocktail after a long day. But within a few days, you get out of the rhythm of reaching for a snack during such times. In the morning, while I'm still fasting, I drink black coffee. (You can also drink plain green tea.) I was used to a heavy splash of cream, so the bracing jolt of black coffee helped kick me into gear without my usual cereal, bagel or peanut butter toast. "I always tell people, don't go to Starbucks for your black coffee," says Rose. "Get a nice bag of quality roasted coffee and brew it at home—it's not as brutal or bitter." He had a point. And besides, since I wasn't buying breakfast, I could afford nicer coffee. I'll admit, I wasn't used to feeling hungry. I didn't allow myself to get there very often. Since I typically ate at the same times each day, I'd anticipate meals or snacks, but rarely felt true hunger. Of course, coming off a workout after eleven hours without food, the emptiness in your stomach is real. But fasting provides a feeling a physical "lightness," which surprisingly results in a natural surge of energy and alertness. This boost also makes your concentration and brain power feel superhuman. When your body is over-full, particularly on less nutrient-rich foods, your energy levels are low and your mind becomes dull. Researchers at Yale found that working on an empty stomach actually helps you think and focus better. 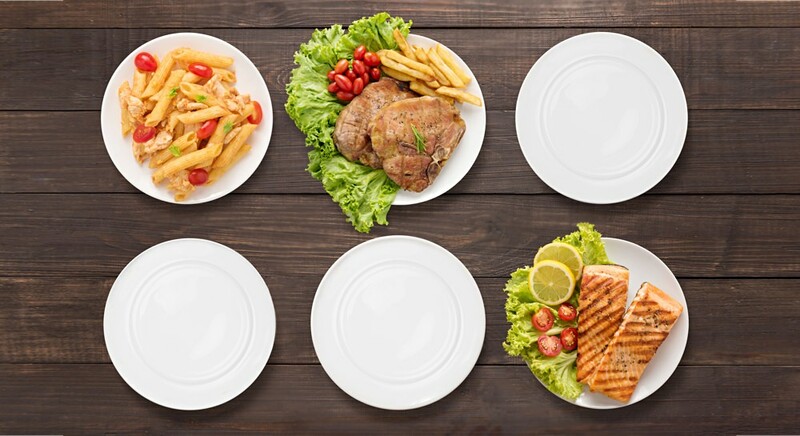 Short-term fasting has also been found to increase "neuronal autophagy," which is how cells regenerate, repair themselves and recycle waste material. Simply stated: more of this equals a boost in brain function and overall health. At first, I felt like my sleep was improving on my fast simply because I was happy to go to bed instead of staying up late snacking or drinking. But then I found it easier to fall asleep on an empty stomach. Lifehacker reports a method of "re-setting" your sleep cycles with a 16-hour fast. Because when your body doesn't have to digest food while you sleep, it can focus on other regenerative tasks—resulting in higher quality sleep. This makes evolutionary sense. If our hunter-gatherer ancestors didn't have any food, they might as well sleep to conserve energy and get their restorative sleep needs out of the way. Maybe some who fast will want to say screw it and start eating but for me, it was the easiest diet plan I've ever tried (and I've tackled a few). When you're counting calories or cutting out carbs, for example, it's easy to slip up or lie to yourself about what's going on your plate. With a fast, there's no grey area or caloric ambiguity—you just don't put anything in your mouth during your fast, save for water and a cup or two of black coffee in the morning. Since there's no wiggle room, I never cheated or slipped up. I started the fast timer on the Zero app and didn't eat again until the chime rang, indicating that I'd accomplished my goal. If you're out with friends and they decide to have another cocktail or dessert, you can join in. It simply means you start your fast later and let it bleed longer into the next day. Jeremy Berger, a Brooklyn-based writer and Ironman triathlete, has been fasting for about six months and says that his relationship with food has improved greatly. "I realized how much time I spent mindlessly eating, shopping for food and generally thinking about food," he says. "So eating less frees up some time and I really appreciate food more now." He's absolutely right. When you're only eating a few times each day, you choose your food more carefully and thus, I found that I've been eating better. Plus, everything tastes better. It's like my sense of taste and smell have become heightened (which, of course, may be all in my head). So here's the pay off. You do start to see results. I wasn't interested in a number on a scale, but I was hoping I'd lose a little of my love handles—and that's just what happened. That stubborn belly fast seemed like the first to go and I'm down one belt notch in just three weeks. That's because intermittent fasting gives your digestive system a rest, which allows your metabolism to burn through calories more efficiently. And then there's the fact that I'm simply eating less throughout the day and the fasting cut into my cocktail time and late night snacking. I've noticed my skin is clearer, the whites of my eyes are brighter and I don't get as sore after a workout. The reason for this is likely the increase in human growth hormone, which has been found to get released more during fasting. HGH essentially turns back the body's internal clock by helping you build muscle, slash fat and increase libido while making your your hair and bones stronger, and your skin look more vibrant. All this by simply skipping a few meals? To me it's a small price to pay for some big benefits. Will I stick with it? Absolutely. As Babigan told me, "I am no way near as hungry anymore—I could actually skip a day of eating and barely notice." But he's quick to add, "I still splurge and have dessert and I still enjoy social drinking—a guy's gotta have some vices, right?" To which I say, I'm right there with you, man. Just give me a few more hours until my current fast is done. Then, the beers are on me. Want to get in serious shape (and fast)? Take a page out of the pro's playbook. A better body is 20% gym, 80% kitchen.